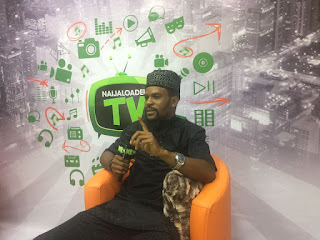 One of Nigeria\'s fast rising social media entrepreneur and event practitioner Alex Nwankwo of AlexReports few days ago was hosted by Naijaloaded TV during a visit at their newly set up online Television in Lagos. 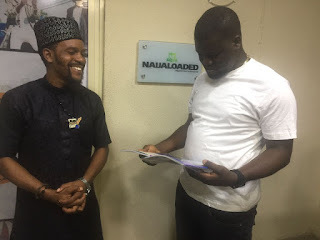 The reporter who had a brief talk at the studio was also received by the owner Makinde Azeez alongside the Team of the popular online platform - Naijaloaded. 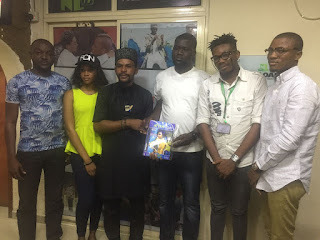 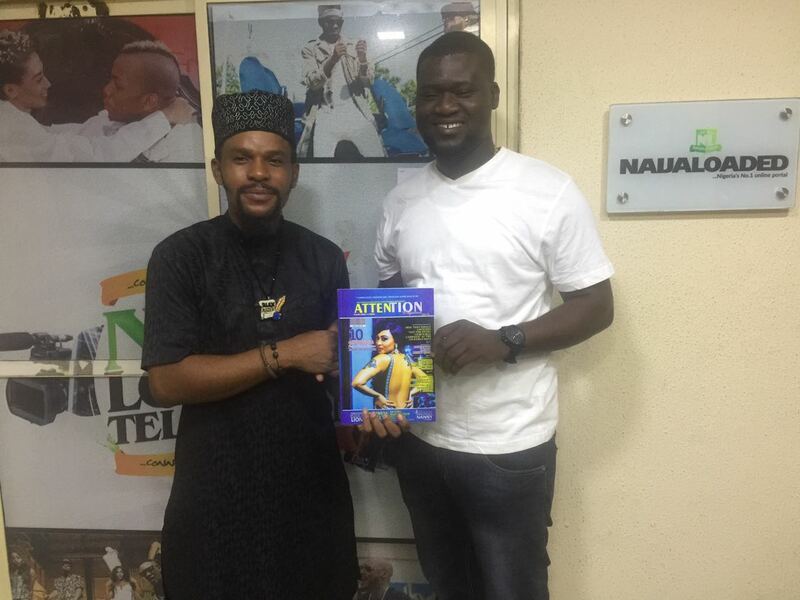 It was indeed a worthwhile ‎media parley as the Naijaloaded Founded Makinde Azeez was presented with a complimentary copy of ATTENTION Magazine. He commended the quality and contents of the publication which also on all Dana Airline flights. 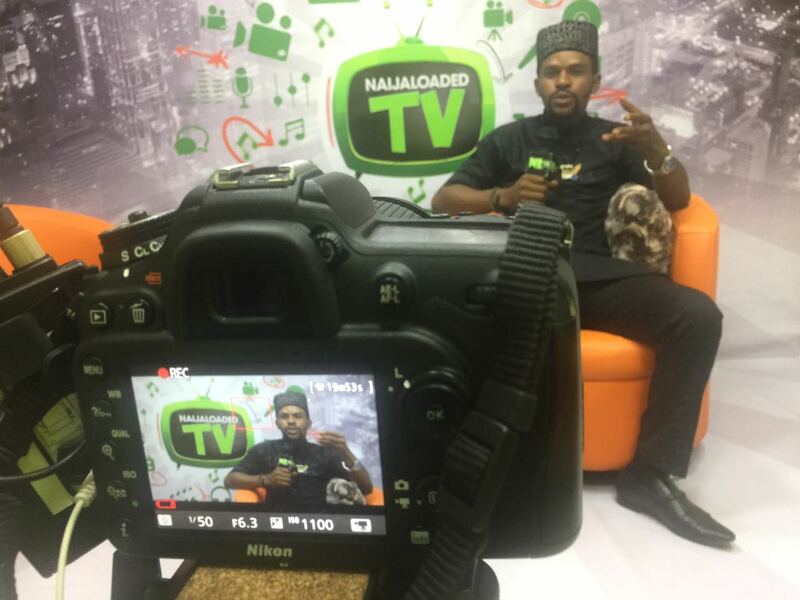 Azeez further reiterated his commitment to ensure that their viewers keep getting informed and entertained through their Online TV platform. 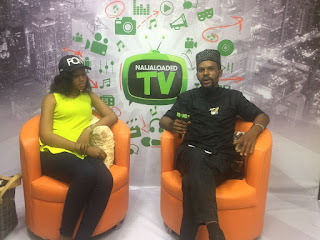 With AlexReports for the visit was Zzini Model Sophie Augustine‎ who will be a UNILAG models bridge for an upcoming programme on Naijaloaded TV and Crown & Glamour show.